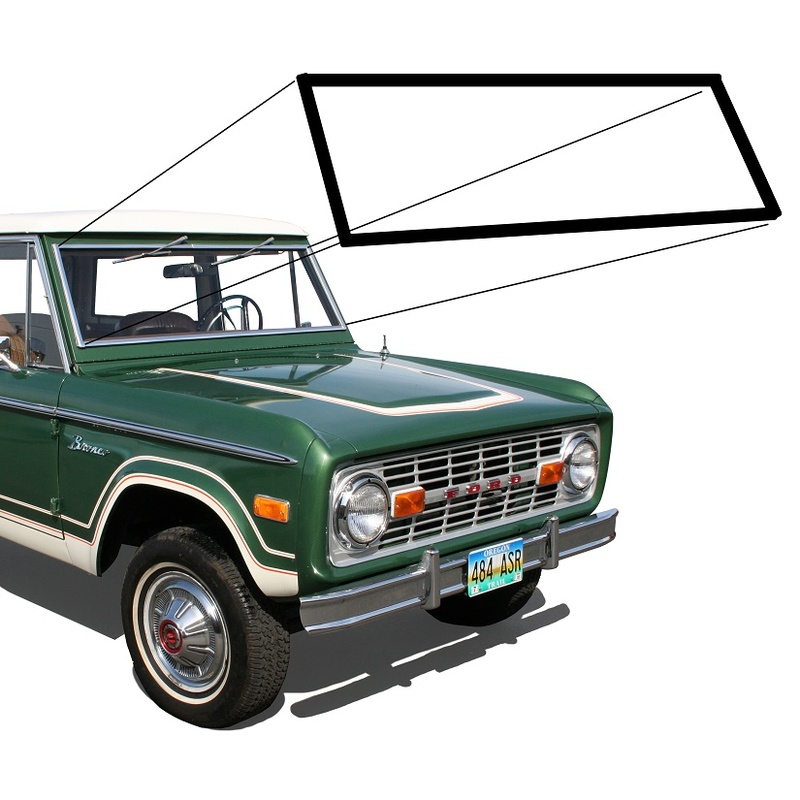 OE Quality Replacement Windshield Glass for 66-77 Classic Ford Broncos. This glass has a mild green tint to diminish sun glare. This front windshield glass is laminated to meet DOT safety standards. 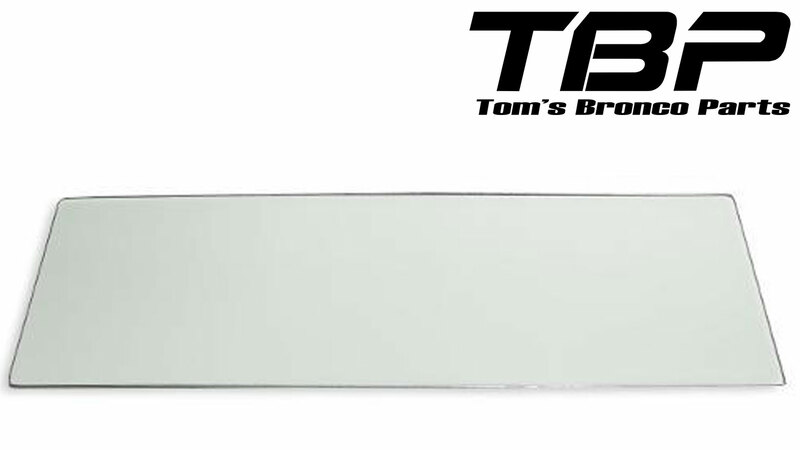 Our windshield glass is made exclusively for Tom's Bronco Parts and is a direct replica of the factory windshield glass to ensure perfect fitment in the windshield frame and glass gasket. Note: Shipping for this item will generally be between $99 & $119 to the lower 48 states. Shipping to HI, AK or Int'l will be more, please call or email for a quote.